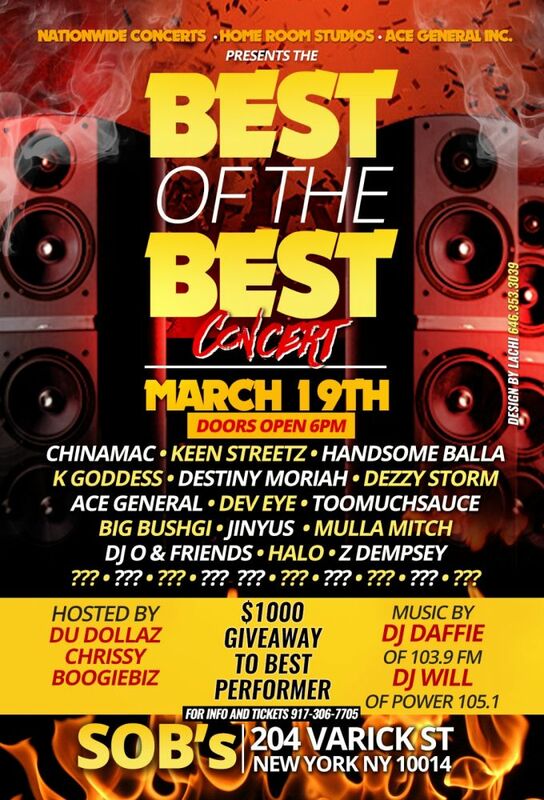 Performances by Chinamac,K goddess,Handsome Balla,Ace general ,Dev Eye ,Destiny Moriah,Keen Streetz ,Halo,Z Dempsey,Dezzy Storm, MulaMitch,Jinyus ,Dj O & Friends . $1000 giveaway to best performer ! !